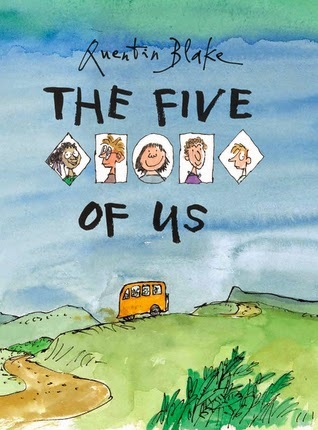 A simple story of five children, told for children, in which each child has some kind of impairment or disability, but the focus is on their ability and how they work together to tackle a difficult situation with the help of these strengths. Their disabilities are not hidden, nor are they explicitly pointed out. The children are not there as objects of curiosity, to check an inclusion box or act in a sympathetic role. They do not take a side role to 'normal' (whatever that is). Their disabilities do not define them, instead their abilities do. I had heard of this book and wanted to see it for myself - it's by no means perfect, I didn't find the story especially compelling, but there are some great things happening here all the same. Maud's memory isn't what it used to be. She remembers the name of her daughter and her carer, but she forgets the tea she made, the reasons she went to the shops and many other things. She also writes many notes to herself, trying to hold on to memories that matter or things she must do. 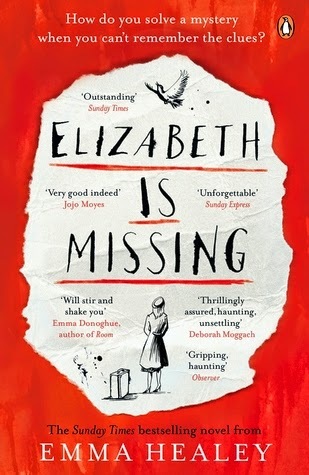 Frequently, these notes tell her that her friend Elizabeth is missing, but nobody takes her concerns seriously so whenever she remembers, she sets out to learn more. Meanwhile, the story of a disappearance in her teen years is retold, bit by bit. This book is written well and the first-hand account of dementia is fascinating. Maud's gradual decline is handled very well. I didn't find the plot especially strong or the revelations (with a particular exception) all that surprising but the strength of writing and perspective more than made up for this. 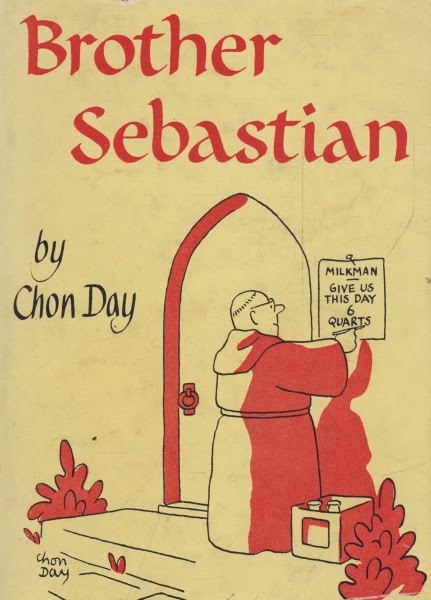 As mentioned in my last photo post, Brother Sebastian has a strong sentimental value, I was very young when I first read it at Nanna's house. The single panel comics, featuring a light-hearted and mischievous monk are clever and always make me smile. The book isn't that easy to come by, and while looking for this picture I've learned that there were two more volumes published. If I can find them without parting with too many dollars I'd love to read them. This tells Rapunzel's tale, though not the one you know best. 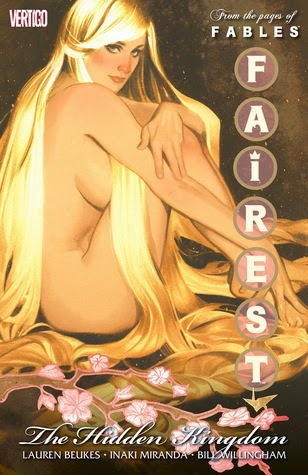 The character from the Fables series has rather more to her than you might recall from the fairy tale. She is drawn back to a past life, travelling to Japan to chase down the origin of a cryptic note about her missing children, backed up by a number of other characters from the Fables series. Whilst this was not a perfect story by any means, for example, I don't understand why Jack is continually inflicted on more and more volumes in this series, he's consistently awful. Despite that it was a big improvement over the first volume. To sum up, the stories told in it were allegedly the stories of the women of Fables, but each was male viewpoint and centred around a male experience of that character. This story avoids a repetition of that (if you ignore the short story in the back, and I really recommend you do) and explores some interesting ideas. I hope that the series continues the trend, but I'll have to report back on that when I've read more. 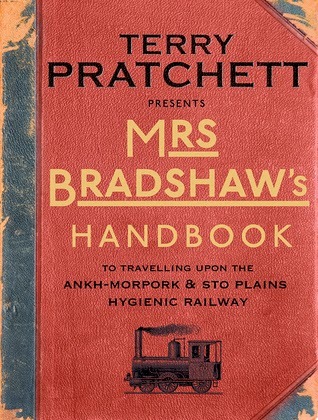 Detailing tips for humans, trolls, dwarves and other species travelling on the newly established railway service on the Discworld, descriptions of stations and towns along the way with suggested itineraries, this travel guide ties in nicely to 'Raising Steam', the most recent Discworld novel. Having read at least some of the Discworld books, including 'Raising Steam' is a prerequisite for the understanding and enjoyment of this book. I enjoyed it very much, especially the early sections. The itineraries varied in interest level, though I'm certain I missed plenty of humourous references I enjoyed those I did find very much.